Recently Innovating for Growth businesses came together to celebrate their completion of the programme and the progress they had made on their business growth. The multi year programme was successful with just under 240 businesses helped. 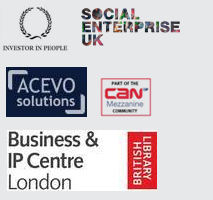 Collectively those businesses have generated more than £14m in Gross Value Added for London. Red Ochre are happy to have been one of the five strategic delivery partners of the programme. Published: November 5, 2015. Categories: Client News and News.